Sophisticated yet simple security for your desktop environment. Sophos Endpoint Protection makes it simple to secure your Windows, Mac and Linux systems against malware and advanced threats, such as targeted attacks. Our next- generation endpoint protection integrates innovative technology like malicious traffic detection with real-time threat intelligence from SophosLabs to help you prevent, detect and remediate threats with ease. Web, application, and peripheral access policies can follow your users anywhere they go. And, your firewall and endpoints can share a security heartbeat. Sophos Endpoint Protection goes far beyond signature-based prevention of known malware. It correlates suspicious behaviors and activities using real-time threat intelligence from SophosLabs. From malicious URLs to web exploit code, unexpected system changes to command-and-control traffic, we’ll connect the dots so your endpoints and data are protected. The result is fewer infected computers and better protection against targeted attacks and data breaches. Christopher Prewitt, Manager IT Security and Disaster Recovery, The Lincoln Electric Co. Choose Sophos Central cloud-based management or deploy Sophos Enterprise Console software to apply policy, updates, and gather reporting. Root Cause analysis capabilities of Sophos Intercept X are exclusively available when managing endpoints in Sophos Central where the benefits of cloud scale, performance, and analytics can be leveraged. Choose Sophos Central cloud-based management or deploy Sophos Enterprise Console software to apply policy, run updates, and gather reporting. Choose either Standard for entry-level protection or Advanced for additional protection with policy controls. Optionally, you can add Intercept X if you manage your endpoints through Sophos Central, or you can add Endpoint Exploit Prevention if you’re deploying Enterprise console. Both options add CryptoGuard anti-ransomware and exploit technique mitigations. Additionally, Intercept X includes Root Cause Analysis attack visualization. 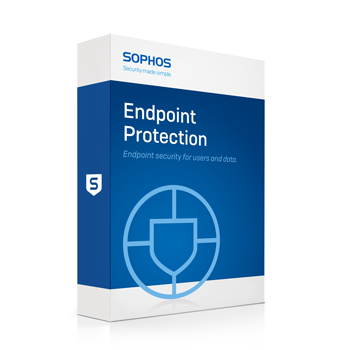 Download the Sophos Endpoint Protection Data Sheet (PDF).